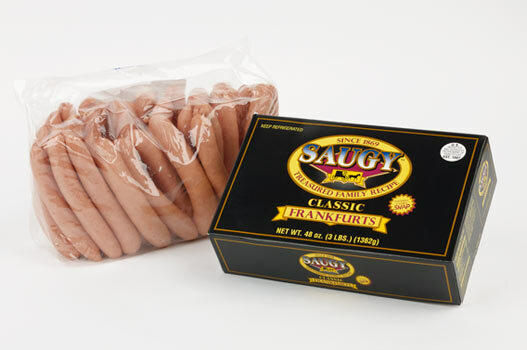 We are pleased and proud to be the Master Distributor for Rhode Island’s own Saugy brand Hot Dogs. These unique hot dogs have become popular far beyond the borders of our state. They feature a unique casing which lends itself equally to boiling, frying or grilling. Once you and your customer try one they are sure to come back! Two 5 pound polybags to a case. Eight 3 pound boxes to a case.